I think this past week has been dominated about whether or not our elected leaders in Washington can come to some sort of agreement in regards to the nation’s debt limit. If they do not come to an agreement and the US defaults, we could all be in for some kind of shock in regards to interest rates on student loans, vehicle loans, credit cards and of course, more importantly to me, mortgage rates! Hopefully we will hear some good news in regards to this situation and one where the US learns to live and operate without overspending like drunken sailors. More possible good indications that San Diego’s building industry may be the 1st in the nation to recover. Please read the article in this link from the San Diego Daily Transcript. As a Realtor who is very active in the San Diego county area – I still see prices coming down somewhat. 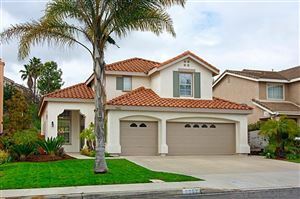 I think overall it is very flat, but in some San Diego neighborhoods and mainly in the upper price range (above $800,000) – there is still softening happening. This is not good for the potential sellers, but for buyers in this price range it is excellent as there are some amazing deals out there, in great neighborhoods. So if you are a buyer on the fence please remember that if you qualify for a good loan or have cash, prices are seriously good and so are the interest rates (currently below 5%). I am still working on my new website and will have new photos up within this next week. I am concentrating on the different neighborhoods with tons of info and photos. Please remember to check out my blog every Friday and of course you can email me or call me anytime if you have any questions.